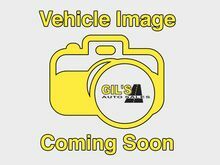 It doesn't get much better than this 2012 Hyundai Sonata GLS, which boasts a braking assist, stability control, traction control, anti-lock brakes, dual airbags, side air bag system, and airbag deactivation. We're offering a great deal on this one at $12,495. With an unbeatable 5-star crash test rating, this 4 dr sedan puts safety first. Drivers love the ravishing gray exterior with a gray interior. Call today and take this one out for a spin! For a top driving experience, check out this 2011 Hyundai Sonata SE with a push button start, braking assist, stability control, traction control, anti-lock brakes, dual airbags, side air bag system, and airbag deactivation. This one's available at the low price of $12,995. Stay safe with this 4 dr sedan's 5 out of 5 star crash test rating. With a timeless gray exterior and a gray interior, this vehicle is a top pick. This is the vehicle for you! Give us a call today and don't let it slip away! 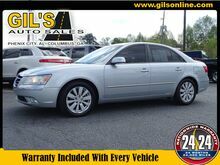 This SILVER 2012 Hyundai Sonata GLS might be just the sedan for you. This one's a deal at $12,995. The exterior is a ravishing silver. Interested? Call today and schedule a test drive! 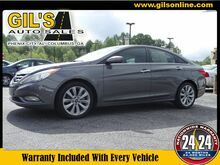 Make sure to get your hands on this 2013 Hyundai Sonata GLS with a braking assist, a power outlet, stability control, traction control, anti-lock brakes, dual airbags, side air bag system, digital display, and airbag deactivation before it's too late! We've got it for $13,995. This 4 dr sedan is one of the safest you could buy. It earned a crash test rating of 5 out of 5 stars. With a gorgeous white exterior and a beige interior, this vehicle is a top pick. Call and schedule your test drive today! 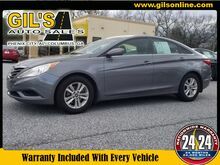 When you're ready to upgrade your ride, opt for this 2013 Hyundai Sonata GLS, which includes features such as braking assist, a power outlet, stability control, traction control, anti-lock brakes, dual airbags, side air bag system, digital display, and airbag deactivation. This one's a deal at $14,995. Don't skimp on safety. Rest easy with a 5 out of 5 star crash test rating. Complete with a gorgeous gray exterior and a gray interior, this vehicle is in high demand. Good cars sell fast! Give us a call and schedule an appointment today!